Hi Ho, Hi Ho, It’s Off to Minecraft We Go! Minecraft is an online "building" game that allows players to build their own vast world of structures and landscapes. Here, a student has constructed a Mayan temple. The debate on video games in education and their relevancy isn’t going away any time soon. At least, not as long as their are games and developers trying to sell these games to those in education who are interested. Every once in a while though, a program comes along that is intended solely for entertainment, but can become a goldmine for education. 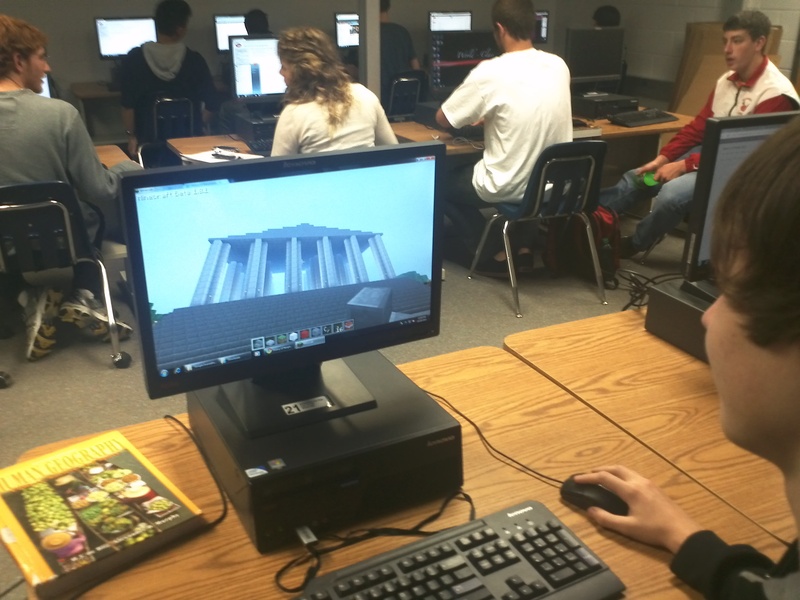 Recently, I’ve been introduced to just such a program that a group of students is using to develop their latest project–Minecraft. The premise is simple: you build stuff from a first person perspective on a grandiose map with graphics that resemble games of the early 90’s–poor and pixelated. By build stuff, I mean literally you can build anything as long as you have the patience and time. The program does have some restraints; everything is in the shape of a cube or is blocked in some manner, so building anything meant to be circular can be trying at best. The basic idea of the game is to build any world you want using various land-shaping tools that can help you build massive towers, vast fields, deep oceans, even underground caverns. There are even a few block-shaped animals that can appear from time to time. If you really want to live on the edge, you can set the game to survival mode and defend your creations from these zombie-like creatures called creepers. So what does this all have to do with education and a group project? Check out this Roman temple. By using the game's built in ability, this student has created a beautifully scaled digital model from scratch. say I was skeptical would be taking the matter lightly. I’d seen the game before and didn’t find it all that interesting to begin with; it honestly appeared to have little point to it. 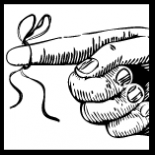 (I’ve since had to insert my foot into my own mouth as I now think of our innate nature to want to build and destroy as human beings–see any strategy, war, board, or RPG game ever made or our love of Legos. There is a great article written on it by Scott Adams, the creator of Dilbert on his blog.) 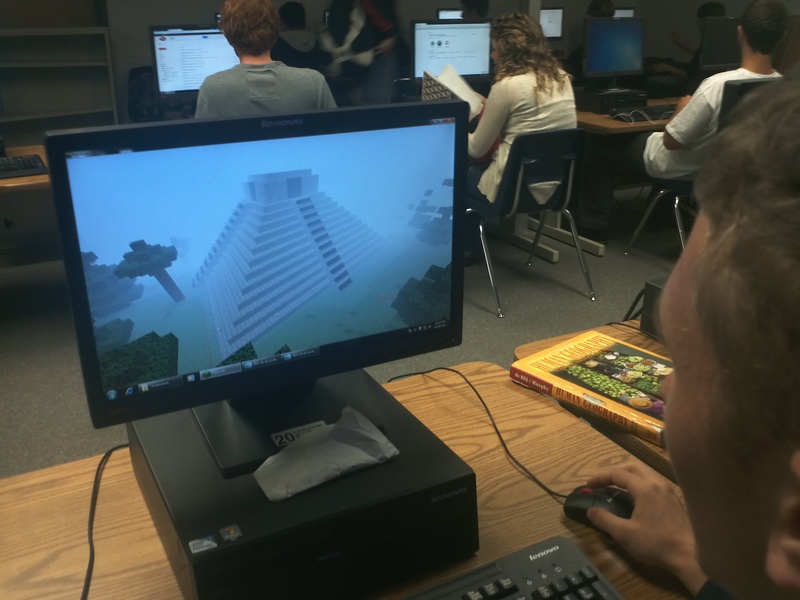 My students claimed it would allow them to demonstrate the landscapes and structures of four different classic civilizations without having to spend hours learning a CAD program or borrowing images from the internet. With some reservation, I agreed to their scheme. You can hopefully see what they’ve been able to achieve from the pictures I’ve shared. I have been immensely impressed with what the group has produced from the game–Mayan pyramids, Roman temples, Persian homes, Greek amphitheaters etc. Although most of the structures and landscapes are certainly blocky in nature, they are extremely well done overall replications of the real artifacts. The group used their research to replicate not only the buildings, but landscapes as well. I caught myself several times over the course of the last few weeks getting immersed in their construction of their various worlds. I must say my students have shown me once again just how well they can think outside of the box and see the value in taking something meant for entertainment, and allow it to shape a well designed and researched product for a project. It remains to be seen how well it will ultimately come together. This project isn’t due until the end of next week; however, I’m excited to see how the presentation and the research culminate at the end. I really write all of this not so much to promote Minecraft, but rather to encourage you to listen to your students when they present a more abstract way of tackling a task, assignment, or project. If you’re like me, you’ll be impressed and even a little humbled by the result some times.